Propertybase is the leading customer relationship management and marketing solution for real estate companies around the globe. 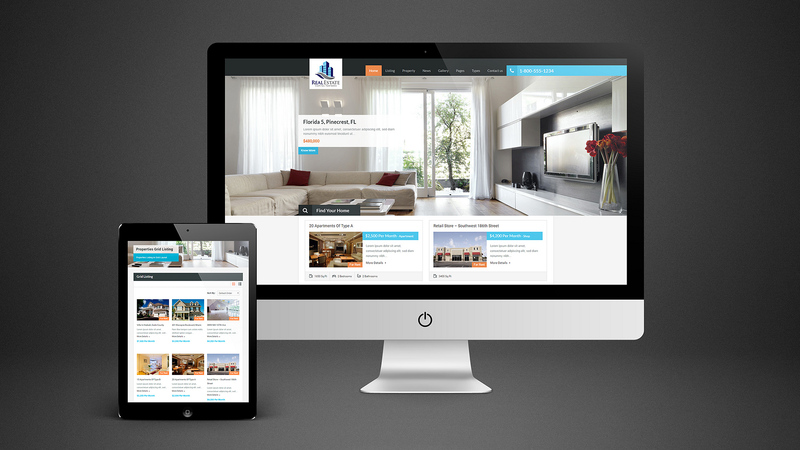 We Design LA has completed a variety of projects for a range of Propertybase clients by integrating their platform with custom real estate websites and marketing campaigns, all as simple and easy to use solutions that automatically sync with client, sales and real estate property data. Propertybase is a fast-growing technology company with offices in Berkeley, Salt Lake City, Sydney, and Munich. Their software, the Propertybase Cloud, is recognized as the leading customer relationship management (CRM) and marketing solution for real estate companies around the globe. It’s built on Force.com, the SaaS platform from Salesforce. With already over a 1000’s offices using their platform, their customer base continues to grow exponentially and includes real estate developers, brokers, and agents on every continent. We Design LA has had the opportunity to work with a number of real estate clients who utilize the Propertybase platform. We have always strived to create a seamless link between the real estate client’s website and Propertybase’s stored data. From automatically building property pages with connected agent profiles, to auto-syncing status of property availability displayed via an interactive and filterable map, and to collecting data and inquiries from the website and passing it back into the sales lead funnel in Propertybase; we have truly leveraged the power of their CRM and allowed their website and digital marketing needs to be part of that system. Clients never want to have to maintain two separate back-ends as it leads to misaligned data and tedious work to keep everything updated. We have created the solution to tie it all together. We Design LA developed a custom and dynamic API connector that works between WordPress and Propertybase robust API, allowing for the exchange of data as well as assets. 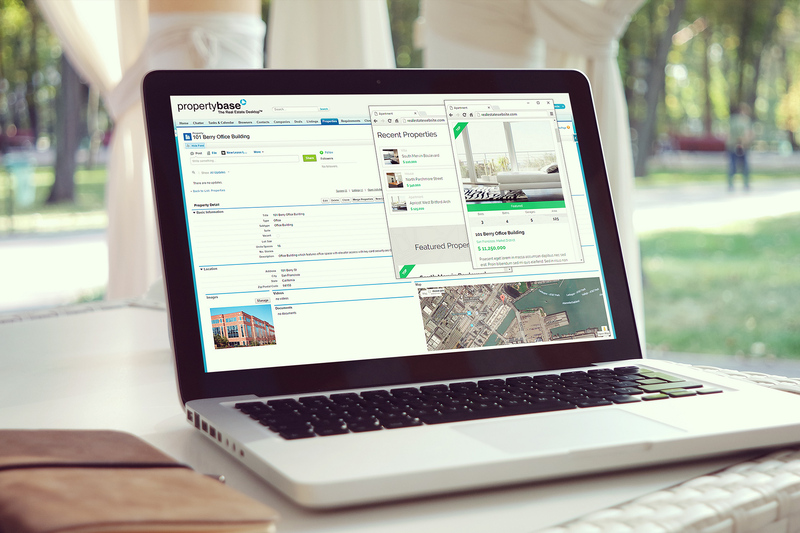 By adding further custom fields and content areas within the Propertybase profile and property pages, we were able to populate Property and Agent profile pages on the client’s website with a variety of content. From multiple images, allowing for featured property images and interactive galleries, to key document downloads and forms, We Design LA designed dynamic pages on the client’s website, that were 100% populated via Propertybase CRM data. But for We Design LA, that wasn’t enough. We wanted the pages to look as if they were custom made for each property page. We have seen far too many real estate listing pages that look like stale template pages. So we built in not only options on the Propertybase profiles to control certain elements on the website pages, but also smart technology on the WordPress side that would auto-reformat the pages based on provided content, number of assigned listing agent’s, type of property, and more. Now clients could solely use their Propertybase CRM system and rest assured that not only would their website be reflecting all the current and complete information, but that they would never have to login to the back-end of the WordPress site for that to happen – allowing them to focus on growing their company, managing their current properties, and generating more leads. We Design LA is truly impressed with Propertybase and it’s CRM platform and strongly recommends all of its real estate clients to utilize their system. Without it and the integration we created, your company is going to fall behind on the competition.